Flexibility. Improving flexibility increases your range of motion. Athletic exercise results in the tightening of muscles and can lead to issues with surrounding muscles, tendons and tissues and potential injury. 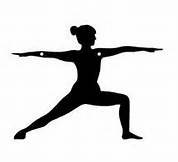 Yoga enhances the movement of joints and muscles crucial for overall structural soundness and performance. Strength is vitally important. Yoga will work your overall body strength, including core strength, which is important to maintain proper athletic form. Yoga strengthens supportive but otherwise under-developed muscles creating a more balanced overall strength. Mental Focus. Having good mental focus is incredibly important to being a good athlete. Learning the skills to breathe through discomfort and to push aside thoughts of doubt can help you whether you‘re racing or doing a hard workout.